Jonathan Gallop has been a licensed Minnesota attorney since 1981. He is "of counsel" with Milavetz, Gallop & Milavetz, P.A., having retired from the practice in 2001. While no longer involved in the day-to-day operations of the firm, he is very proud of the practice he helped to build. 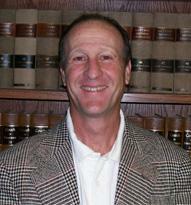 Mr. Gallop is a frequent arbitrator and mediator, and is a college business law instructor. He teaches undergraduate level courses such as "Legal Environment of Business," "Business Ethics" and "The Law of Marketing and Advertising" in the M.N.S.C.U. system. Mr. Gallop also presents seminars on Employment Law and Sexual Harassment Prevention to businesses throughout Minnesota. Mr. Gallop dedicates his spare time to coaching baseball.